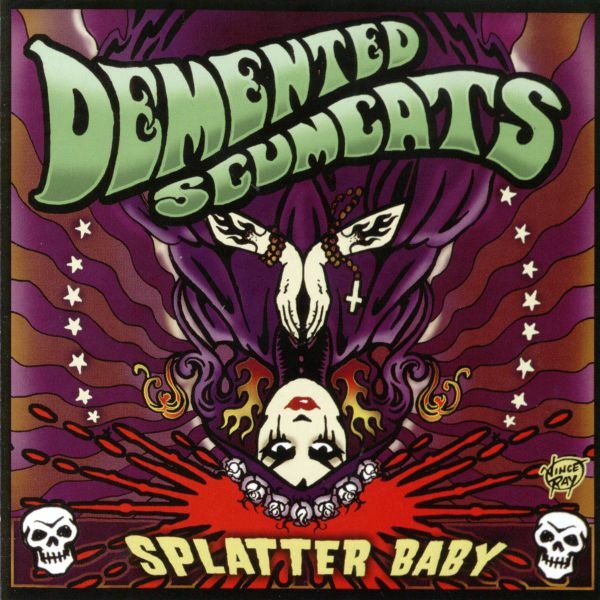 DEMENTED SCUMCATS "Splatter Baby" , the D.A.G. sideproject DEMENTED SCUMCATS. 13 fantastic tracks for your demented pleasure. This longplayer got so much power that it will fascinate every Demented Are Go fan. Sparky, Stan and Johnny Gizmo were surrounded by many guest musicians, like Doyley, Strangy, Lex, Emily, Johnny Loveless, Rachel, Georgia and Tracey Stallion.